The MCU gives some precedence to how new characters are introduced. With Marvel announcing that actress Brie Larson will officially be playing Captain Marvel in the Marvel Cinematic Universe, there is a lot of ongoing speculation about how her character will be presented in future movies – and which story arcs her solo film could potentially adapt. 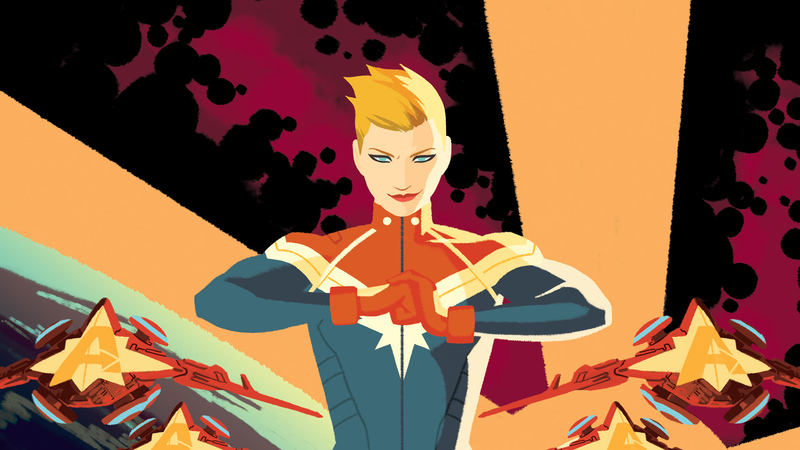 In a recent podcast, Captain Marvel screenwriters Nicole Perlman (Guardians of the Galaxy) and Meg LeFauve (Inside Out) revealed that one thing is certain: Captain Marvel’s origin story will be drastically changed for her movie outing. Perlman and LeFauve expressed their concern that Danvers’s origin story is too similar to DC’s Green Lantern. 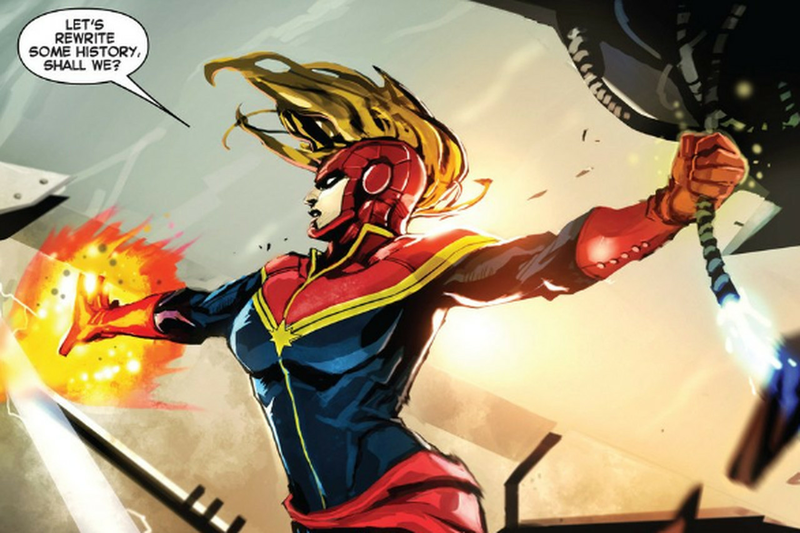 In the comics, Carol Danvers was a U.S. Air Force officer who was saved by half-Kree hero Mar-Vell from a Kree weapon. The damage, however, irradiated Danvers with Kree DNA and that’s how she gained her various powers, which include flight, strength, and psychokinetic abilities,. Changing Danvers’s origin story would solve a lot of problems, as there are elements to her early stories that either haven’t been introduced in the MCU, or haven’t been explained in enough details to make much sense at this point. With that in mind, here are a few ways the Captain Marvel origin story could play out given the tone and story precedents laid out already by the MCU. The big easy one is for Danvers to be a result of one of the many government experiments that have already created the likes of Captain America and The Winter Soldier. After the events of Civil War, the government is surely looking for ways to combat the now rogue Steve Rogers, and who better than a patriotic Air Force officer by the name of Carol Danvers? While any story done well is never boring, a military experiment to produce a superpowered soldier has already been done several times in the MCU. While it would still be interesting to see given Danvers’ proclivity for justice and order, this could end up feeling like a retread. You’d be forgiven for not remembering, but the Kree are the blue skinned aliens in Guardians of the Galaxy, and their most famous cinematic compatriot thus far is Ronan the Accuser. While Guardians is probably the Marvel movie most distanced from the main drama of The Avengers, it might be a cool place to relocate Danvers within the MCU. Imagine a character who’s already established as a space traveler who comes across some Kree weirdness to become the Captain Marvel we know and love. While Guardians of the Galaxy Vol. 2 is already well into production, this didn’t stop Marvel from tossing in a Tom Holland Spider-Man for Civil War. Introducing Danvers early could make way for a solo film untethered to the rudimentary need for a drawn-out origin story. As the most recent Marvel comic book event, Civil War II, is eager to point out: there’s a lot of temperamental similarities between Tony Stark and Carol Danvers. While Danvers isn’t gifted with the technological prowess of genius inventor Tony Stark, there’s nothing stopping from seeing an independent Carol Danvers, having watched the highly publicized superhero rumble from Civil War, to go out and find a way to become superpowered on her own. Now this could of course tie-in to volunteering for a secret government experiment, but the Earth is filled with magical and alien strangeness after all the alien invasions, inhuman craziness, and infinity stone nonsense. Perhaps Danvers goes out in active pursuit to find a way to make herself superpowered so that she could go out and fight alongside the other Avengers. Forge the origin story altogether! Like Spider-Man, introduce Larson’s Captain Marvel as a pre-established Marvel superhero whose been doing cool, saving the world stuff while all the Avengers, Civil War nonsense was happening. After all, somebody needed to be saving the planet while literally every member of the Avengers (except Thor and Hulk) were brawling with one another. Just introduce Captain Marvel swooping in as a hero and be done with it.